Material: 95% polyester, 5% elastane. Upper part: 90% polyamide, 10% elastane. Classic and flattering dress from MAKE WAY. The stretchy lace upper is lined, while the lower has an elegant, firm quality for a good fit. 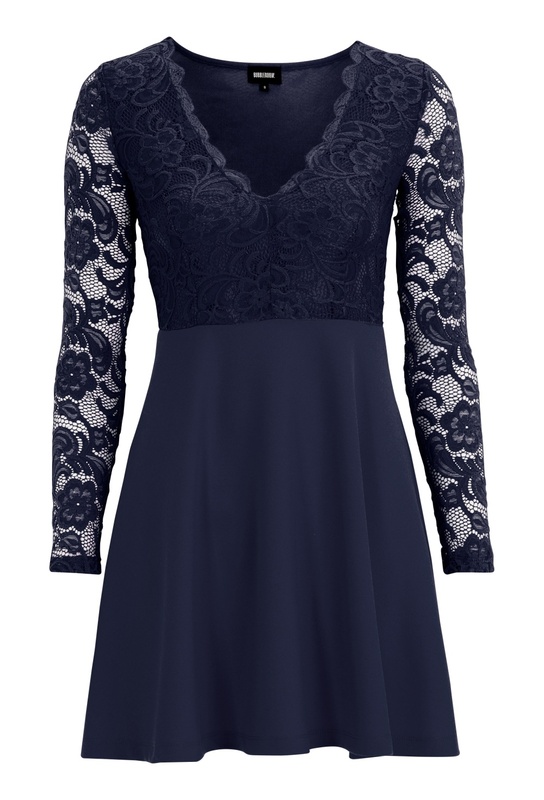 The dress has a flattering neckline and long lace sleeves. Length from shoulder: 85 cm in size S. Sleeve length: 60 cm in size S.